Today, March 25th, is usually the Feast of the Annunciation, but this year it was moved to April 7th because today is Monday of Holy Week. 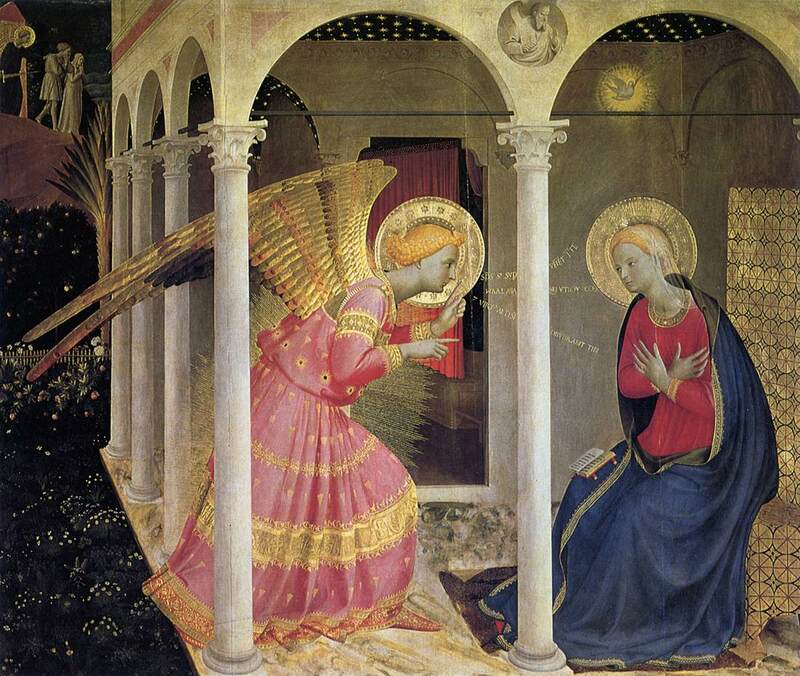 I am still treating this as an important day for my blog as it is named after the Annunciation, and I have several posts planned throughout the day. Please visit often and help me make this a great day for the blog. At noon I am posting a reflection on the Blessed Mother that is very close to my heart. I have also planned some other posts today that I have really enjoyed writing, and that I hope will be of some interest to you. I also hope these reflections might help us with our preparation for the Triduum in just a few days. It has truly been a whirlwind Lent so far for the Church and for all of us. I hope that we can enter more fully into the mysteries of Christ’s passion, death and resurrection as Holy Week progresses. By retreating into the depths of our deepest heart, where we meet with Christ Crucified, where he unites our wounds with his, we will be healed by the blood and water that flows forth from within him and through us. This entry was posted in Mother Mary and tagged Annunciation, Mary, Mother of God. Bookmark the permalink.